What you do not know about getting your roof professionally cleaned may hurt you, or your roof at least. One of the responsibilities that comes with being a Cape Cod homeowner is taking care of your roof. In fact, your roof is the most important part of your home because it protects the rest of the structure from the elements. So why is roof cleaning in Cape Cod a crucial factor in preserving your roofing? As with any aspect of your home that has exposure to the elements, it is going to get dirty. The problem is that the dirt that forms on your roof is not just unsightly, it could be destroying your roof right now. Those black streaks you see are made up of organisms that feed off of the organic material in your shingles. There are plenty of other things that you need to know, as well. Want to know more about how you could benefit from having your roof cleaned by professionals? The obvious advantage is that your home will look better. Increase the curb appeal while also increasing the property value. If you want to make a good first impression, the entire exterior of your home should look good. 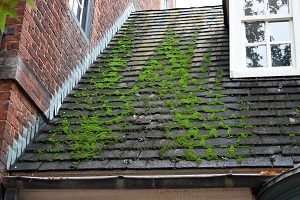 Cleaning off the algae, lichen and moss growing on your rooftop will help protect your roofing from damage. Your roof will begin to breakdown as these organisms eat away at it. The only way to avoid the need for replacement is to invest in roof cleaning in Cape Cod. What may also surprise you is that your homeowners insurance could actually end up canceled because of this. These stains are actually putting you at higher risk of having serious damage to your roof. As a result, some companies will insist on the customer getting the roof cleaned or risk losing their coverage. While there are plenty of other reasons that this is a good service to take care of, these are a few of the important ones. 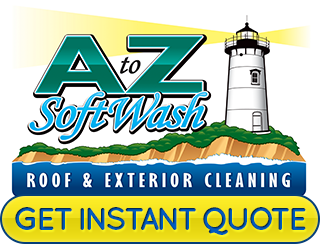 The important thing is to make it a point to work with a Cape Cod roof cleaning pro who uses a softwash approach as opposed to just a power washer. Otherwise, you could end up with damage from the cleaning process itself. 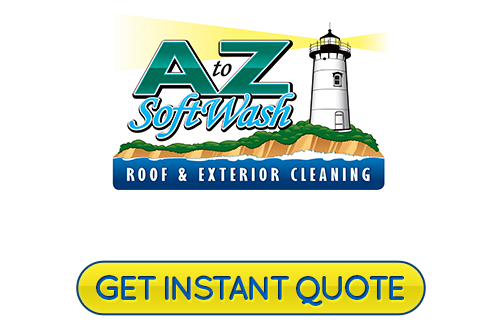 At A to Z Softwash we know what it takes to get the job done, which means quality cleaning without causing damage to the shingles or roof. We work with both residential and commercial clients and can help prevent the need for premature replacement. Don't take chances when it comes to the quality of work that goes into your exterior cleaning services, call on the local experts instead.